We would like to extend a huge thank you to the Wimbledon Community Orchestra (Mala Saye is one of the cello players) and their family and friends for buying our calendars and for making some very generous donations at this year’s Christmas concert. Thank you for your support and see you again next year! 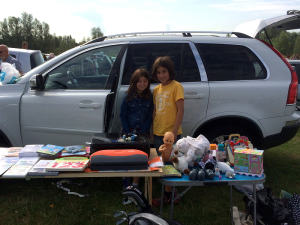 We wish to extend huge thanks and appreciation to 10 year old Sofia and her friend Bella for raising £110 from their car boot sale. All of this money will go towards the campaign for Jessica. Excellent work girls – truly inspirational! The Janki Saye Foundation is pleased and proud to announce that we have awarded our first grant!! 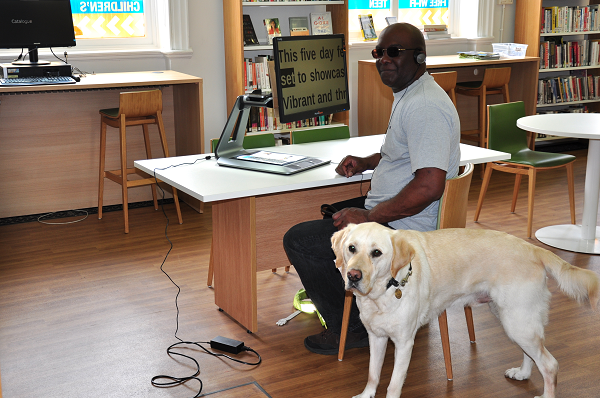 The grant has been awarded to Patrick, who has been registered blind since 2009, and has been used to fund a Prodigi Duo “reading” device. This will provide Patrick with access to previously inaccessible materials such as job postings, research papers and specialist/reference books. This is the foundation he needs to seek employment, enabling him to rebuild his confidence, reconstruct his life and turn despair into hope! Thanks to all of you who attended the launch on May 23rd 2015. It was a huge success and we have now put the Janki Saye Foundation on the map! Thank you for your support to date, and thank you in advance for your continued support. We are pleased to announce we are all go for this exciting event! April 21st, 2015. We are pleased to announce that we have been entered onto the Charity Commission Register of Charities with the Registration Number 1161371.